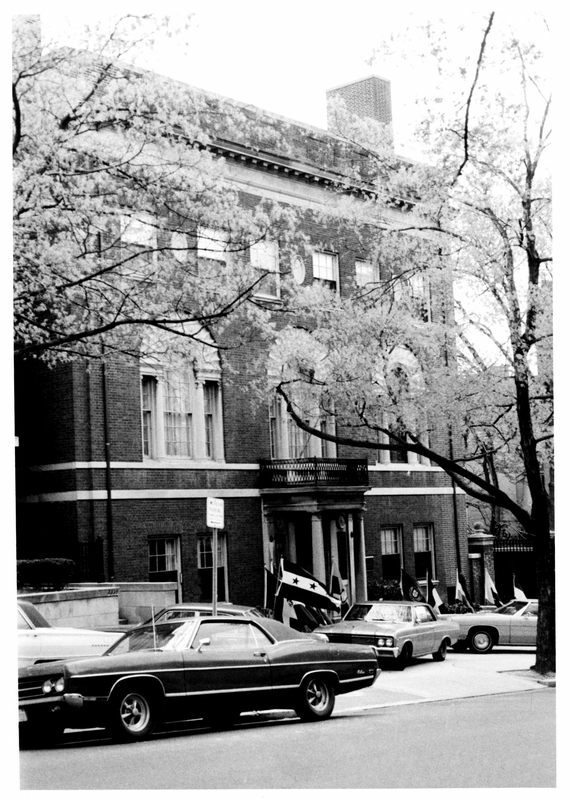 The Textile Museum Is located on the south side of S Street, N.W, on land sloping downward to the west. The property on which the Textile Museum is located was vacant until 1908 when Martha S. Tucker built her house designed by Wood, Donn and Deming at 2320 S Street. This firm, founded in 1902, designed a number of important Washington buildings including the Masonic Temple (1908) and the Union Trust Building (1907), The house's building permit states that it was to cost $43,000 and that Frank L. Wagner at 1413 H Street, N.W., was its contractor.From 1910 to 1916 the house at 2320 S Street was owned and occupied by the Samuel Hills,In 1912-13 George Hewitt Myers built his home at 2310 S Street. The building permit states that the house was to cost $62,000 and its builder was AT.P. Lipscomb and Company. 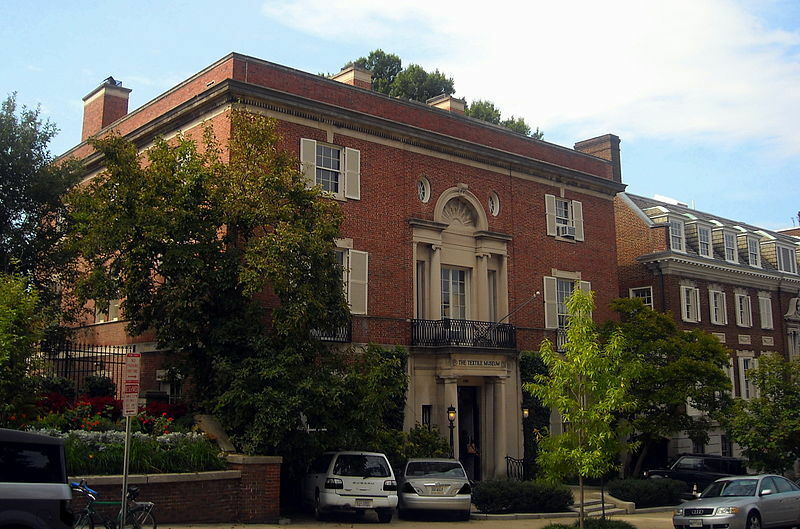 The house was designed by John Russell Pope (1873-1937), one of the United States' most distinguished architects. 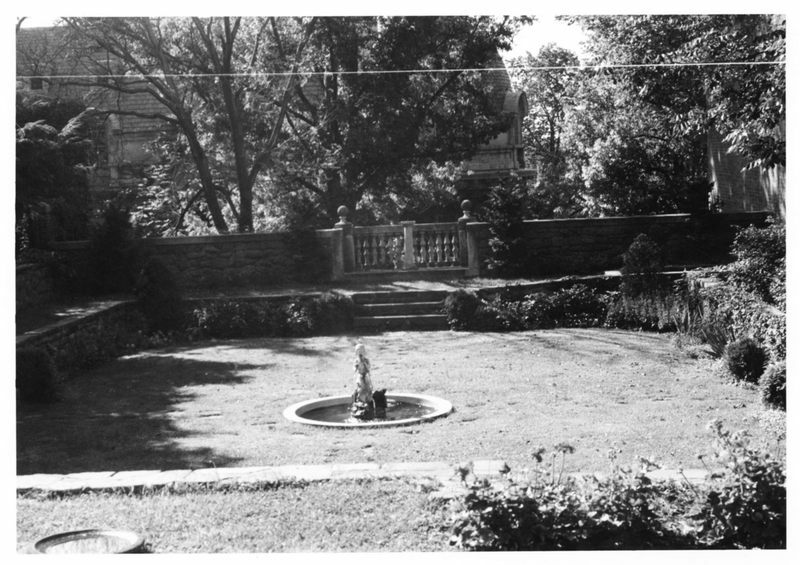 The [Myers House is a product of Pope's early career when he was designing a number of refined country and town houses. Pope is best known for his later, more monumental structures such as the National Archives Building, the National Gallery of Art, and the Jefferson Memorial. Nearly all of Pope's designs are in the Classic tradition. The two houses in which the museum is located are elaborate colonial revival designs. They illustrate the popularity of the colonial revival style in the early 20th century and are symptomatic of that age's desire for architectural order and symmetry. The larger house, 2320 S Street, was erected in 1908 by Mrs. Martha S. Tucker. This nine bay wide house, designed by the Washington firm of Wood, Bonn, and Deming, lacks the proportions and scale of colonial architecture. It is typical of many colonial revival buildings where classical details are awkwardly combined with Victorian scale. 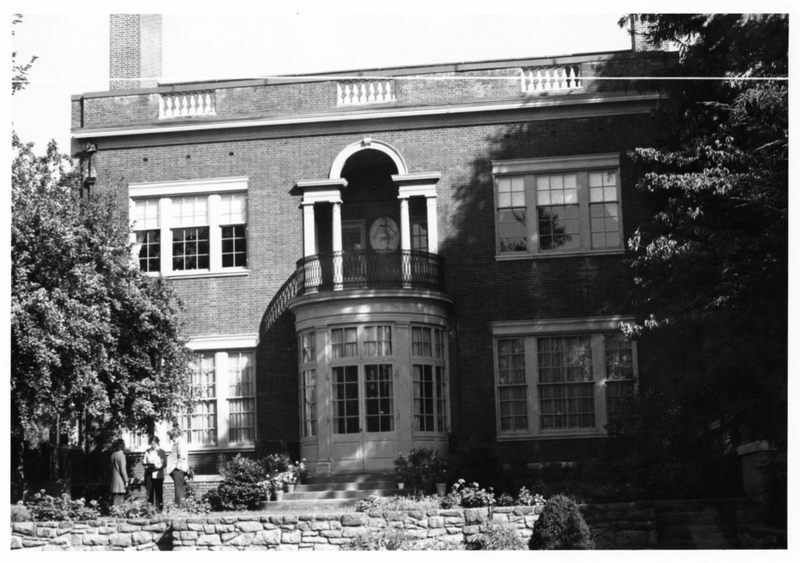 In contrast, the house erected in 1912-13 by George Hewitt Myers is a sophisticated, carefully proportioned design. This house at 2310 S Street was designed by the well-known architect, John Russell Pope, and illustrates the refinement and elegance possible in a colonial revival design. 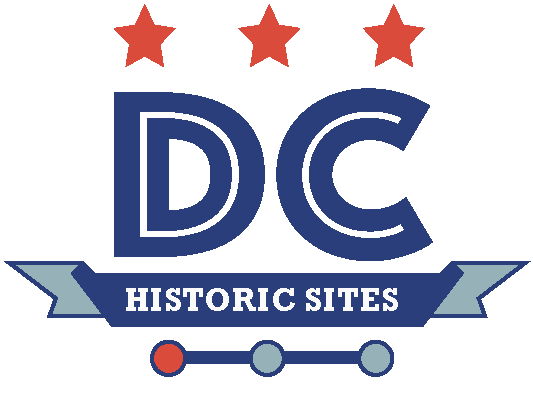 “Textile Museum (Tucker House and Myers House),” DC Historic Sites, accessed April 24, 2019, https://historicsites.dcpreservation.org/items/show/592.